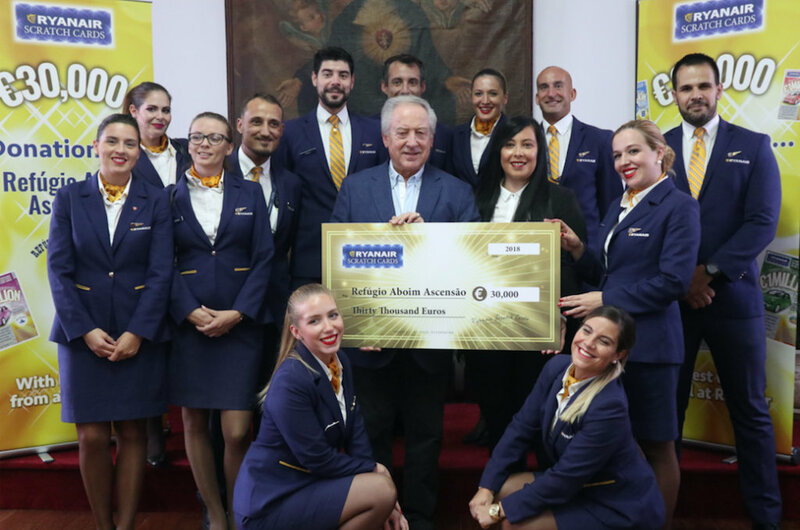 Ryanair, Europe’s favourite low fares airline, today (23 Oct) made a €30,000 donation to the Portuguese charity Refúgio Aboim Ascensão, the latest in a series of charities to receive support from Ryanair’s “Fly to Win” scratchcards. Ryanair’s scratchcards are very popular with customers who can win prizes of cash, luxury cars, or scoop a cool €1 million – all for a stake of just €2, which funds numerous charity donations across Portugal and Europe. Refúgio Aboim Ascensão is a children’s charity based in Faro, one of Ryanair’s Portuguese bases. “It’s wonderful to count on Ryanair’s support through its team and all of the company members, taking part in the care of our tiny Children living with us, that one day were in grave danger. As you all know, now you are part of our Family.